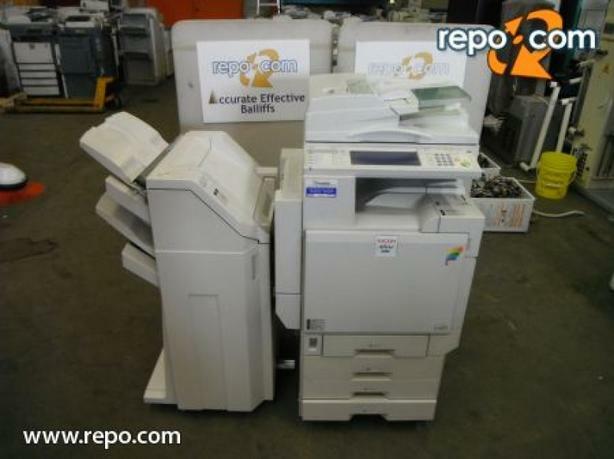 Ricoh Aficio 3235C Photocopier, Color, Black and White copier, printer, scanner, 329779 black and white Copies total, 126538 color total, cream exterior. $130.00 plus $300 conveyance fee, $430.00 total payment obligation before taxes. Listing Report, Warranty. All above specifications and information is considered to be accurate but is not guaranteed. Call 604-522-REPO(7376) to confirm listing availability.